It's essential that an alerting and notification system send all the information you need to quickly determine what action to take, but to not provide too much information or too many alerts which makes them each less useful. With those two things in mind we've been improving our alert and hook system and are happy to announce some big improvements to the Slack integration. 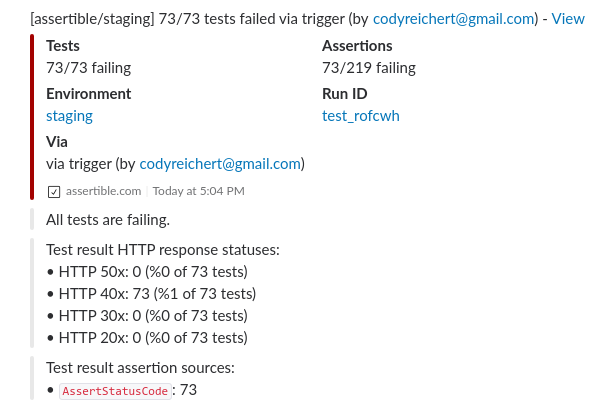 When some of the tests in a run are failing, they'll be attached to the message with the reason for their failure. 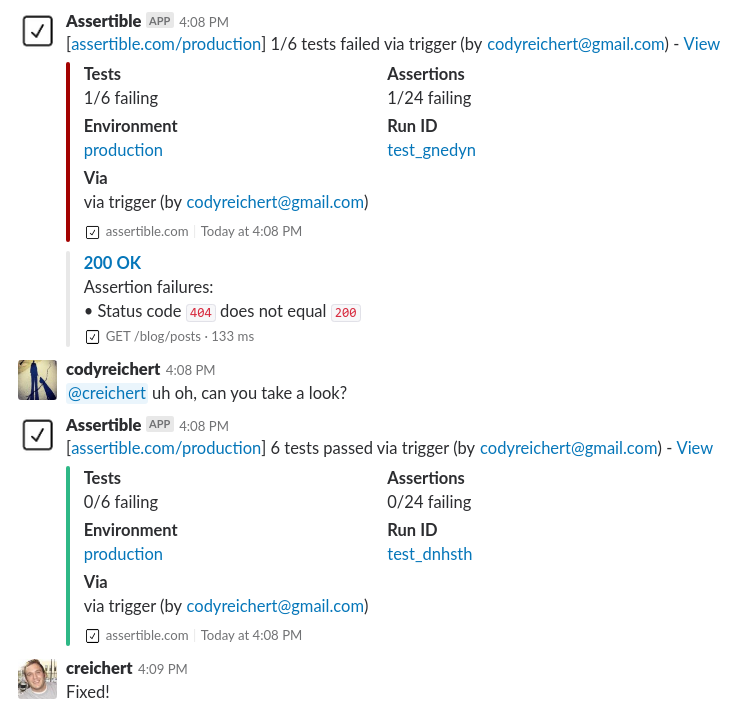 Integrations are a big part of Assertible and API testing in general, so we're continuing to work hard on more improvements to Slack and all the other hooks and alerts.